LARGE MEETINGS OR EXCLUSIVE PRESENTATIONS. The big advantage of this room is that it has no pillars in the middle and has welcome design given by the wooden layers both on the walls and floor. The Illyria Ballroom is our biggest venue with its 465 m2 and one of the most preferred event organization places in Tirana. 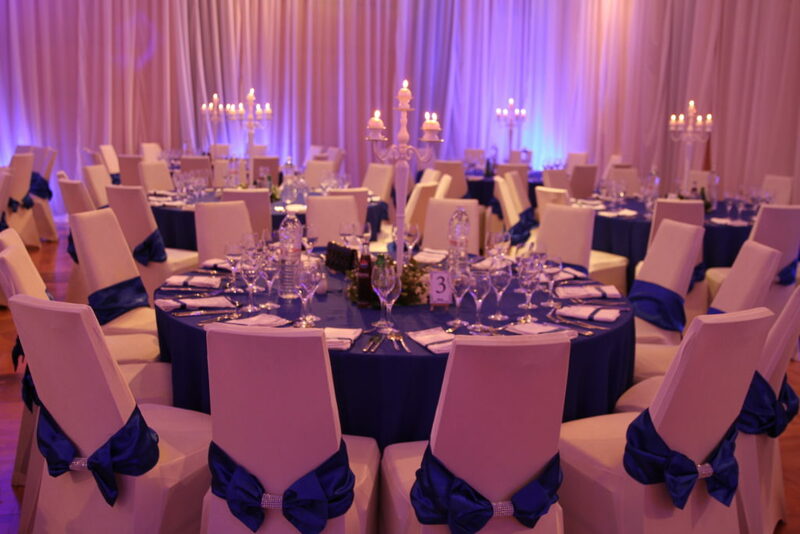 It is ideal for gala dinners, weddings, large meetings or exclusive presentations. In fact, it can hold up to 500 people in a theater style and 280 in a gala dinner. In addition, an LCD projector and an automatic scrolling screen both mounted on the ceiling. This room is composed by two rooms Illyria I and Illyria II separated by a movable wall. Click on the grey areas to know more details about each room. All rooms are distributed in two different levels of the hotel, and therefore, they can be found in two different floorplans.